One of the year&apos;s most anticipated retros, the "Bordeaux" Air Jordan VII, is finally dropping this weekend. Despite the hype, it might actually be one of the easier pick-ups in recent memory. That&apos;s because they&apos;re releasing literally everywhere. Thanks to Foot Locker&apos;s handy Launch Locator, we&apos;re learning that the "Bordeaux" VIIs will drop far and wide across the U.S. Even sleeper states like Wyoming are getting allocations, so you shouldn&apos;t have much trouble come Saturday. From what we can see, Vermont will be the only state in the entire country without at least one store stocking pairs. 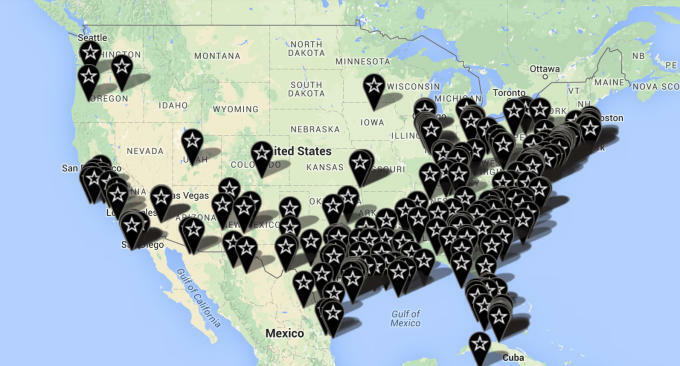 Check out where you stand on Foot Locker&apos;s map below. We&apos;ve also included Footaction&apos;s locations for comparison. Nike NYC has confirmed that it will be releasing the "Bordeaux" Air Jordan VII via the brand&apos;s online raffle system. Niketown New York and Nike Roosevelt Field will be participating, and the guidelines will remain the same as previous drawings. Between this and the widespread Foot Locker releases, there should be plenty of opportunities to cop.